Can’t be there in person, then this is for you. You can view this live on 29 November, or watch at a later date. Note, payment for the livestream must be made before viewing details will be provided. These will be provided on the morning of 29 November. The livestream will commence at 5.40pm. Bronwyn Carruthers, Partner with Russell McVeagh’s Environment, Planning and Natural Resources Team, will provide a review of our key resource management case law over the last 12 months. The roadshow will explain the issues in the selected cases and why they are important going forward. CPD: 1 hour – a CPD Form will be provided post event. Bronwyn is an environmental law specialist, with expertise in all aspects of resource management law. She has a particular interest in resource management litigation. 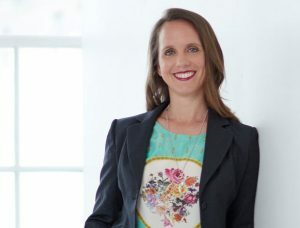 Bronwyn has been in practise in New Zealand since 2000 and has extensive experience before the Environment Court and has also appeared in the higher appellate Courts a number of times, including the Supreme Court. In addition to being a partner at Russell McVeagh, Bronwyn is the convenor of the Environmental Law Committee of the New Zealand Law Society and the editor of the Resource Management Law Association Journal. She is a regular contributor of articles and case summaries for the Journal and also contributes the case law updates to the Association’s monthly newsletter. She has presented national roadshows on case law updates, both for the Association and the New Zealand Law Society.